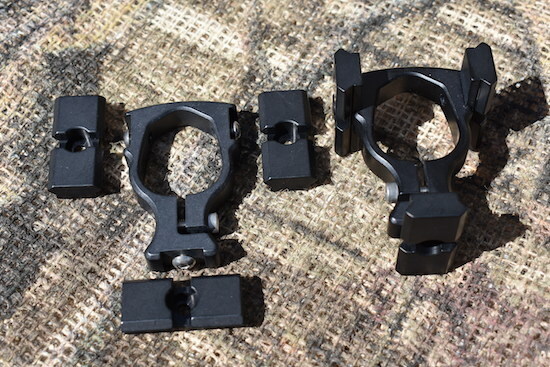 This is a very configurable barrel band system that only fits the Standard Carbine and TakeDown rifles. The reason for bolt on rail system is for other options other than rails. 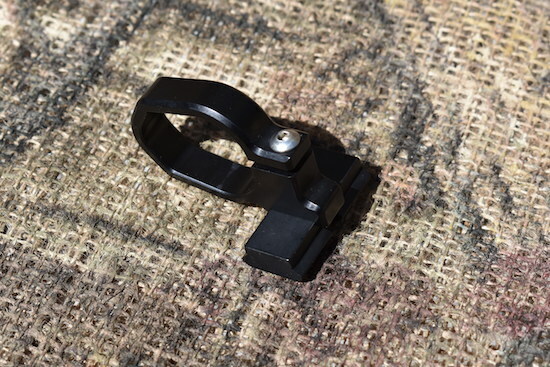 Rifle sling rings or many of the other option we will be putting on this page. 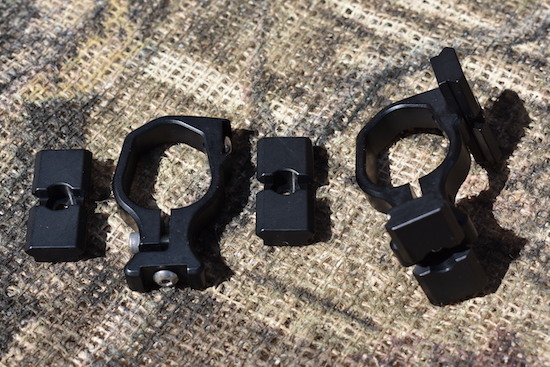 That way you could have many interchangeable accessories and add ons without ever changing out your barrel band. BE SURE TO SELECT THE BAND FOR YOUR RIFLE. BOTTOM AND 1 TOP RAIL MOUNT BARREL BAND. A quality product. All military spec design. Exclusively made for the Ruger 10/22 Rifle. Solid design! Precision CNC machined out of Aluminum 6061 plate. All stainless steel hardware. Wrenches included. Top rail is on center of the barrel. 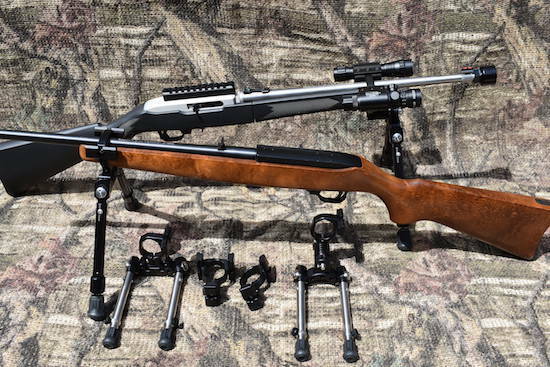 These bands fit all of our bipods. Price: $34.99 Plus $6.75 USPS flat rate shipping. California destinations 8.75% sales tax. BOTTOM SIDE RAIL MOUNT BARREL BAND. A quality product. All military spec design. Exclusively made for the Ruger 10/22 Rifle. Solid design! Precision CNC machined out of 6061 Aluminum plate. All stainless steel hardware. Wrench included. Price: $29.99 Plus $6.75 USPS flat rate shipping. California destinations 8.75% sales tax. BOTTOM AND 2 TOP RAIL MOUNT BARREL BAND. A quality product. All military spec design. Exclusively made for the Ruger 10/22 Rifle. Solid design! Precision CNC machined out of 6061 Aluminum plate. All stainless steel hardware. Wrenches included. Both top rails are on center of the barrel. Price: $44.99 Plus $6.75 USPS flat rate shipping. California destinations 8.75% sales tax.